Maharashtra revenue minister Chandrakant Patil said that not entering into a partnership would be a greater loss for the Shiv Sena as the BJP already is in power in 20 seat. Maharashtra minister Chandrakant Patil on Thursday explained why an alliance between the BJP and Shiv Sena was imperative in the state. He warned that the Congress-NCP alliance will win if the two parties didn't come together. The comments came amid the BJP's efforts to mollify its estranged ally. 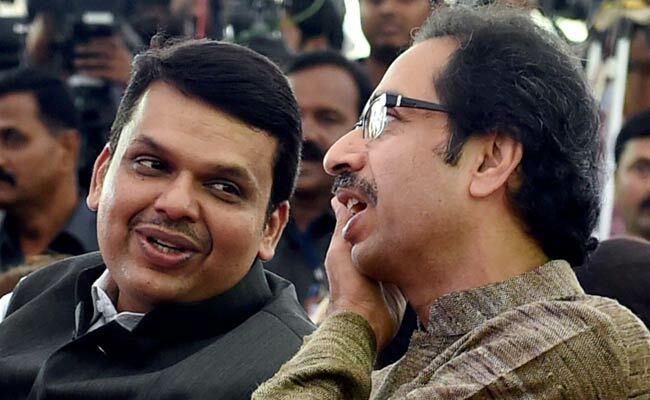 In a move that is seen as the BJP's outreach to the Uddhav Thackeray-led party, the Maharashtra Cabinet on Tuesday approved Rs. 100 crore for the construction of a memorial for late Shiv Sena chief Bal Thackeray. Mr Patil said the Congress-NCP alliance necessitated an alliance between the Shiv Sena and the BJP. "Had the Congress and the NCP decided to fight the polls separately, then there was no harm in our going solo. However, even the Sena knows that in the present scenario, if we fight separately, the Congress-NCP combine will come to power," he warned. The Maharashtra revenue minister further said that not entering into a partnership would be a greater loss for the Shiv Sena as the BJP already is in power in 20 seat. "The BJP will not be affected in case it loses, as the party will come to power at the Centre. The party is already in power in 20 states," he told news agency Press Trust of India. "While the BJP will win 100-110 seats and Sena 40-50 seats, it is the people who will suffer. None of the political parties will be affected," he added. The relationship between the two parties soured after the BJP formed a government at the centre with a massive mandate in 2014. The two parties contested the Maharashtra assembly election separately. The BJP emerged as the party with most number of seats -- but not enough to form a government. The parties, bound by their right-wing ideology, had to come together to form the government. After that, the two parties have remained in an uneasy alliance, with the Shiv Sena not leaving any opportunity to train guns on the BJP leadership. For the past few months, the party's attacks have become bitter. The BJP that lost several important allies last year is desperate for partners for the upcoming Lok Sabha election. Though the party said it was looking for new allies in the south and east, it is hoping to keep its alliance with the Shiv Sena intact.